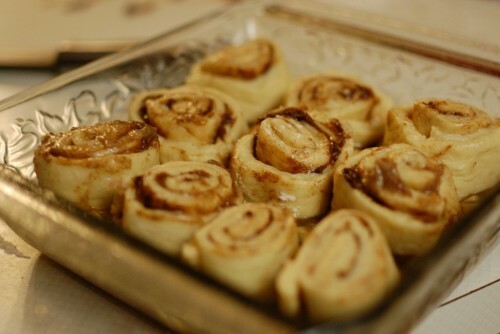 Easy Sticky Bun Recipe – Cinnamon Sticky Buns Recipe – Easy Recipe For Sticky Buns | Cook Eat Delicious! « Peeled Snacks Giveaway! Winner! 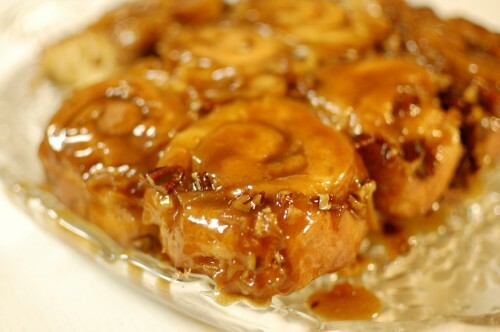 The secret to these Sticky Buns turning out so well is the Vanilla. 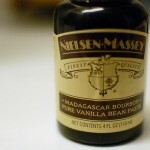 I used the Nielsen-Massey Madagascar Bourbon Pure Vanilla Bean Paste. 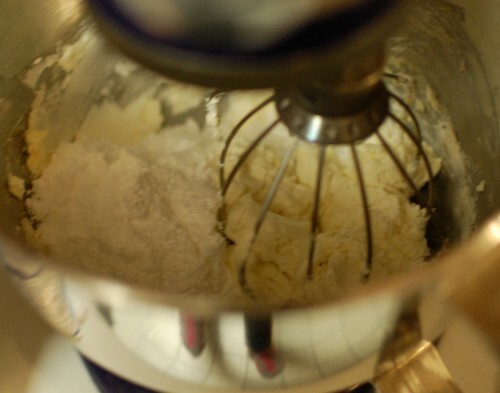 This Vanilla is to die for and perfect for baking. 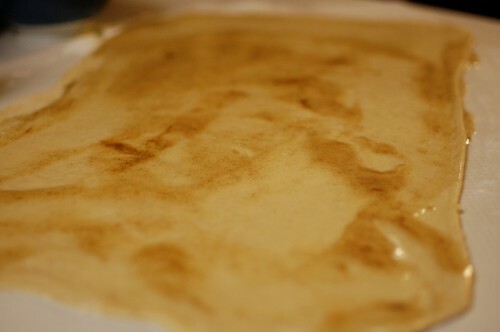 It adds in so much more vanilla flavor without overpowering it like some extracts can do. Want a bottle for yourself? The folks over at Nielsen-Massey are giving away a bottle to one reader on CookEatDelicious.com. Stay tuned for the giveaway this Monday! Delicious Rating: Delicious all the way. Not super sweet but sweet enough. 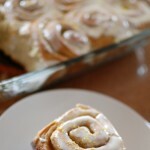 The bun dough is soft and moist, perfect for a cinnamon roll recipe too! 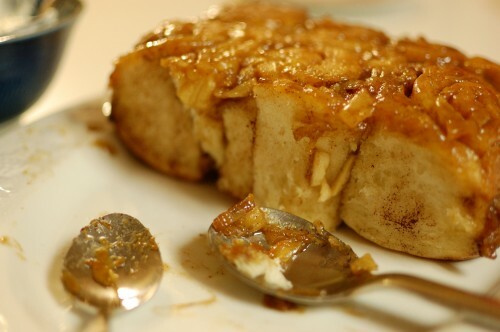 I will definitely make these Vanilla Cinnamon Apple Sticky Buns again. I served them with a Cream Cheese Frosting, which was great to eat by itself as well. 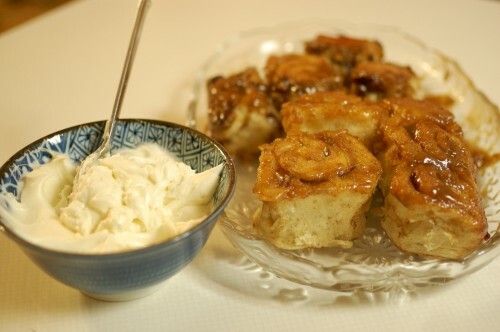 You don’t need the frosting if you want to stick to the traditional sticky buns but it does add another dimension of flavor and option to the dish. Let me know what you think in the comment box! 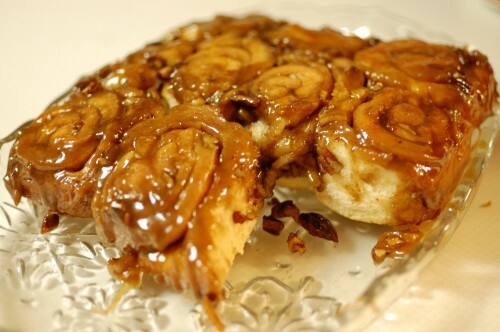 For truly sticky sticky buns, double the topping. 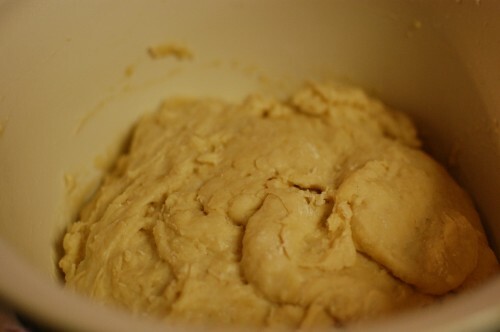 Start with the Bun Dough: Heat milk, sugar, oil, and vanilla bean paste in a sauce pan until warm, do not bring to boil. 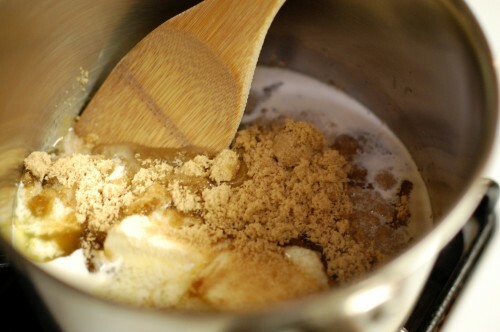 Pour into large bowl and add in yeast and flour. Stir together gently until combined. Cover with a towel and let rise in a warm dark place for 1 hour. 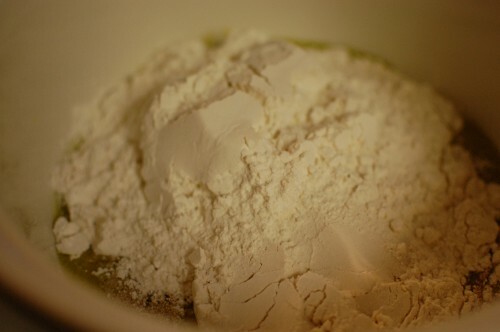 Knead in the salt, baking soda, and baking powder. Set aside. 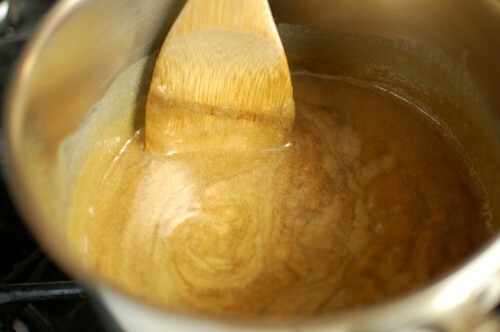 Start the sticky topping: Place stick of butter, brown sugar, corn syrup, heavy cream, and vanilla paste in a saucepan over low heat. 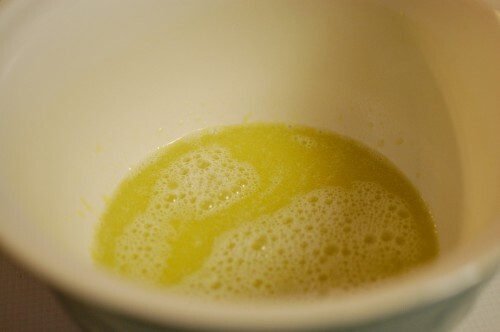 Combine sauce together well and bring to a boil for 30 seconds and remove from heat. Pour into 2 round cake pans or two 8x8 baking dishes. 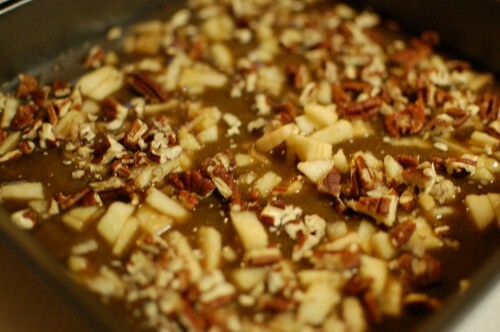 Sprinkle the diced apple and pecans on the sticky topping. 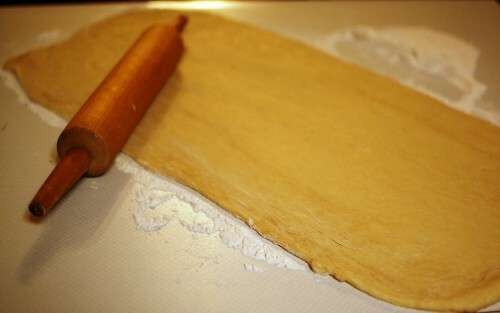 Split dough in half and roll out one half into a large rectangle. 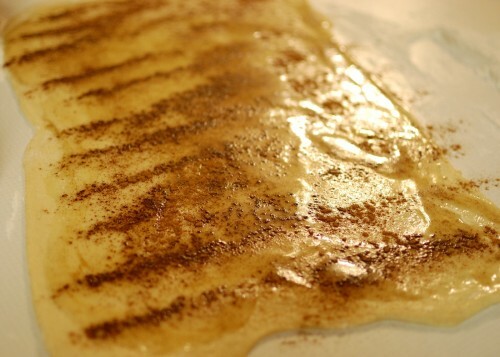 Cover with half the melted butter, 1 tbsp vanilla bean paste, and 1-2 tbsp of cinnamon. 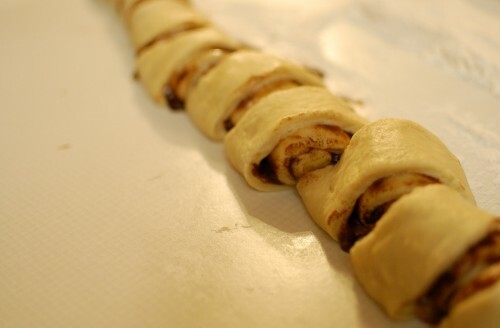 Roll up lengthwise into a long roll and slice into even sized buns. 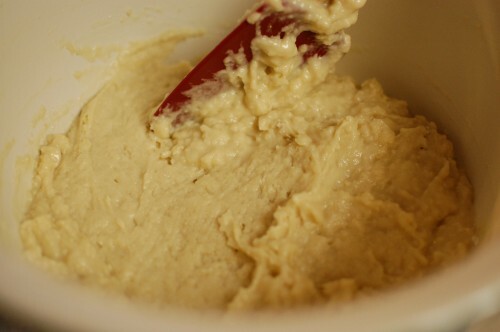 Place buns in 1 pan and repeat for the second half of the dough. 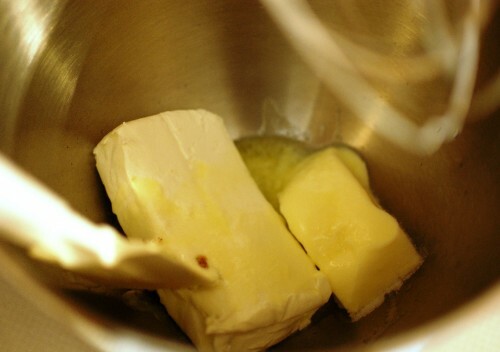 Allow buns to rise in pan for 20 minutes. 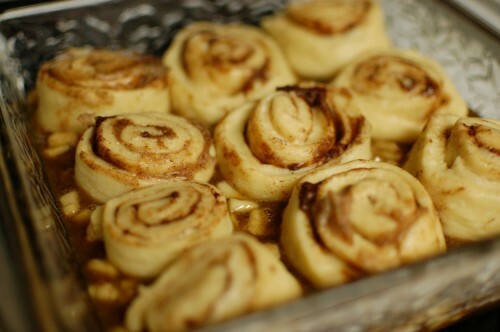 Cover buns with foil and bake for 30 minutes. Remove the foil during last 5 minutes of baking. 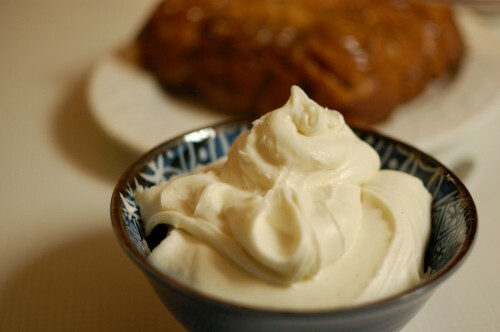 Prepare frosting by combining all 6 ingredients in a mixing bowl and whip them up into a delicious frosting. 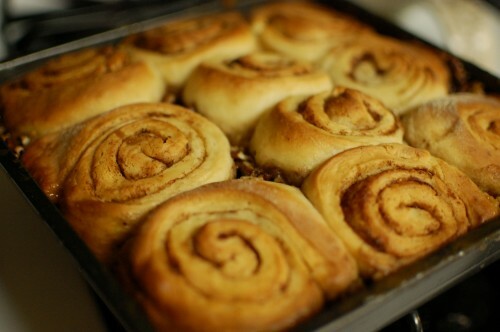 Once Buns are done baking, immediately invert the baking pan on a serving plate and serve warm! 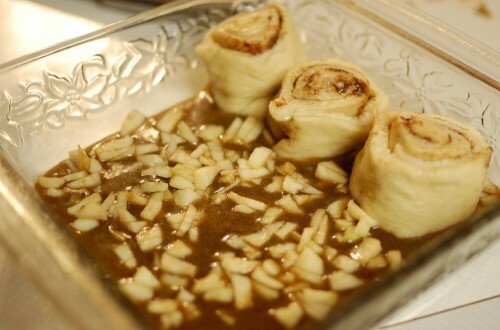 The dough will start out sticky which is appropriate when making sticky buns…right? Make these when you aren’t hungry. I was hungry so I got mad while waiting for the dough to rise. I kept checking it and yelling at it. No way to treat a rising dough. Okay, make three batches of this. One to eat while combining, one for the actually sticky buns, and another to eat with a spoon while the sticky buns bake. 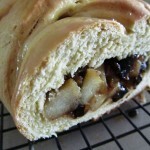 It helps if you are an impatient hungry baker like me! I will add more apple next time. 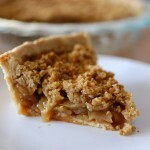 The caramel is perfect with the apple. But you can leave out the apple and the nuts too. I could have rolled them tighter but the gooeyness of the rolls and inside made it a little difficult. When they rise they end up filling the gaps so no worries. 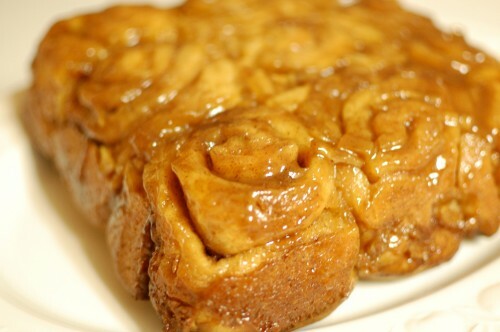 The frosting was a great addition but the sticky buns are good on their own too. These are do delicious, and the cream cheese frosting is so delightfully sinful! I also like them with a little bit of butter! 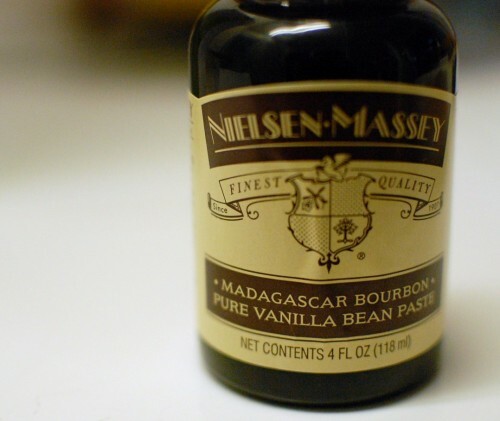 That Nielsen-Massey Madagascar Bourbon Pure Vanilla Bean Paste is the best and it smells so wonderful you just want to eat it from the bottle! Thanks for sharing that! Yum now I have to make some tomorrow! I am so glad you liked them Michele! Keep up the baking! 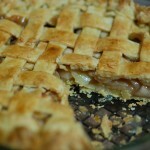 Thank you for so delicious and easy recipy! Will bake them tonight. Let me know how they turn out Julia! 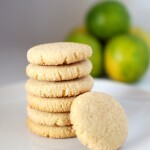 The vanilla bean paste works great with these! I’ll eat these fro breakfast any day!!! These look delicious. Would be great for Christmas morning.